Can someone chime in with their ideas for designing and cutting a snake like this. It will be about 20 to 24 inches. 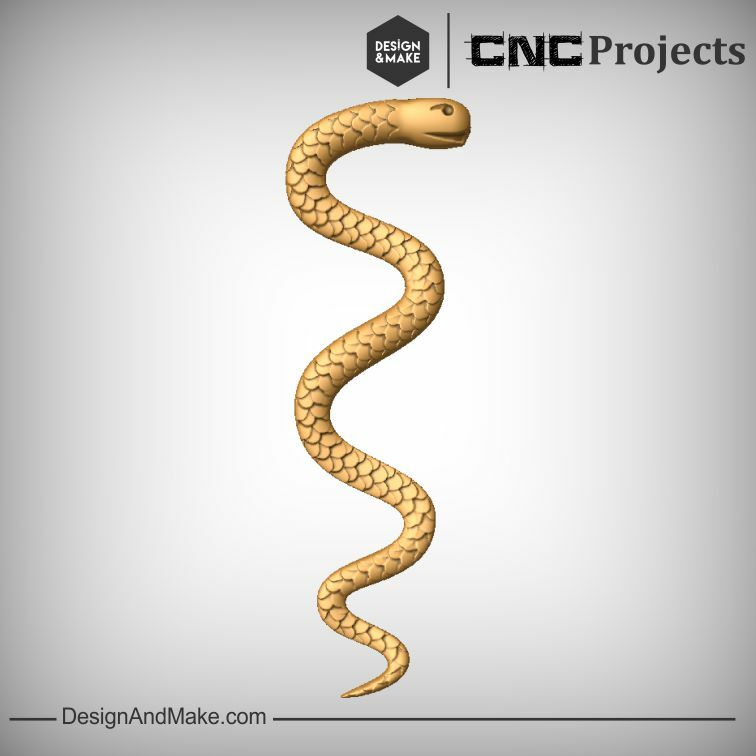 Buy the Rod of Asclepius clipart from Design and Make. I cut this for a physician about 3 months ago. The other day I was playing around with Aspire's Clipart by merging and copying it to the other side and doing a double-sided, weird looking walking stick. Also, years ago, I did a walking stick using Aspire's Clipart but modeled it in Rhino and use the Rotary to cut it, but something like that could also be made doing the double-sided project. 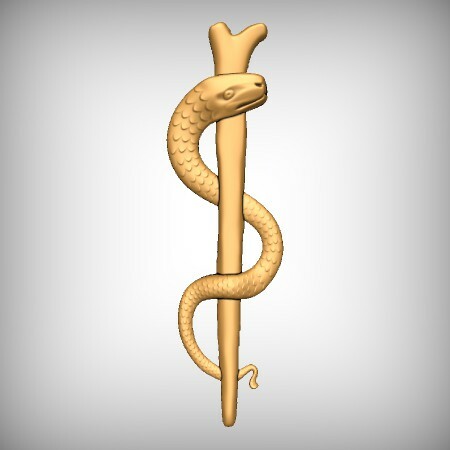 I need to make an actual shaft with the snake to function as a ceremonial mace. This is a version of the Veterinary Symbol I designed to carve for a local veterinarian(sp). I never did carve it, but plan to one of these days. Model the snake and the stick separately. CG Trader has a 3-D model for $9.00. 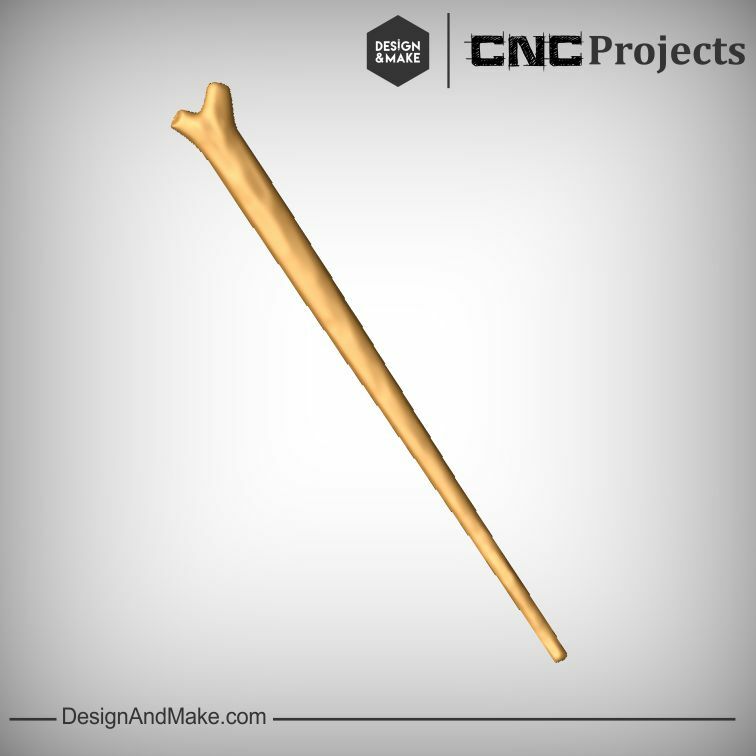 You can do a double-sided project with it to make a ceremonial mace. http://www.cgtrader.com/3d-print-models ... rint-model. Or you can do what Randall suggested and then copy the object to the other side and do it as a double-sided project.